Of all the wonderful fruits and vegetables that are coming into season, cilantro root is the one that I am most excited about right now (sorry, dear cherries). 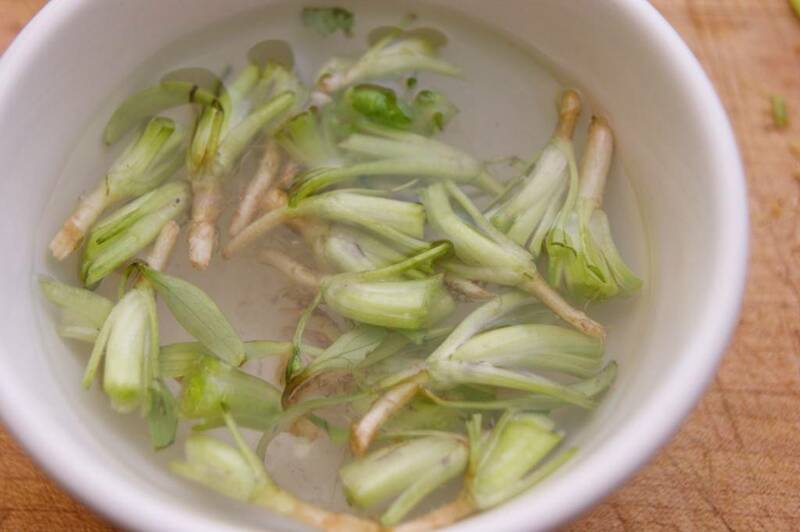 Cilantro Root has a delicious herbal flavour, packs a powerful cilantro punch without being too cilantro-y, and is an essential ingredient in all kinds of Thai recipes. And it’s in season RIGHT NOW! The thing is, nobody sells it. But… grocery stores and produce markets everywhere are selling B.C.-grown cilantro right now and it comes with the roots attached! They just don’t realize the gold mine they are sitting on! Foodies everywhere will pay through the nose for fresh cilantro root, so don’t give my secret away. 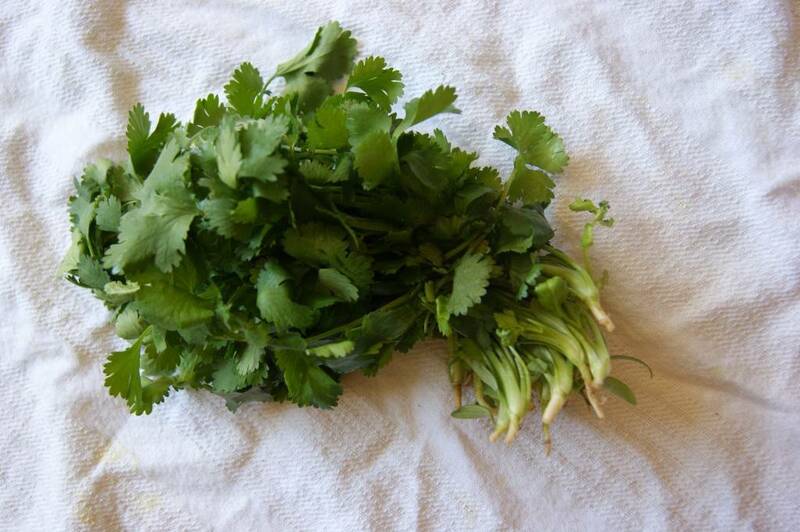 I have been known to buy out a store’s entire supply of summer cilantro only for its roots (shhhh…. I didn’t really say that). I mean, I will give the leafy parts away to good homes, but I buy twelve bunches of cilantro at a time just get my greedy hands on the parts that most people throw away. My neighbours have learned to be prepared for my summer cilantro giveaways. They think I am being generous when I’m really being food-crazy. 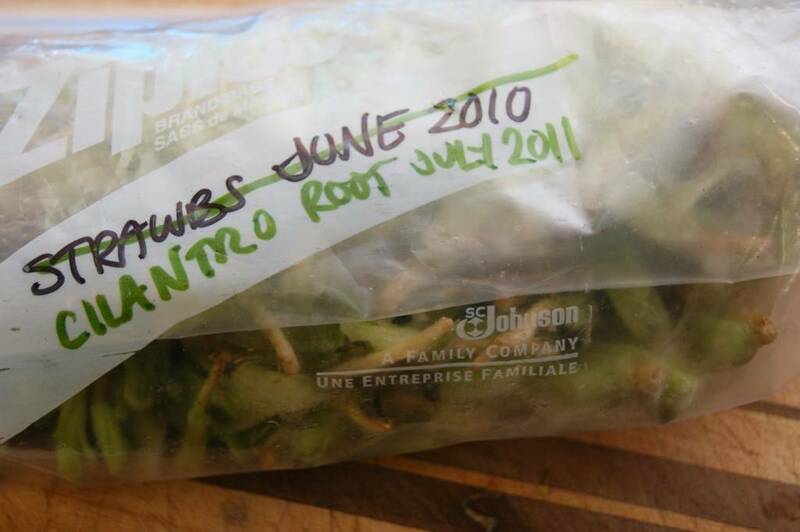 Cilantro root freezes very well and keep its flavour for at least 6 months in the freezer. Cilantro root is always used in South-East Asian pastes, marinades and dipping sauces, so it doesn’t need to look pretty. Here’s how I go about freezing my local cilantro root. You can do this with as many bunches at a time as you have. 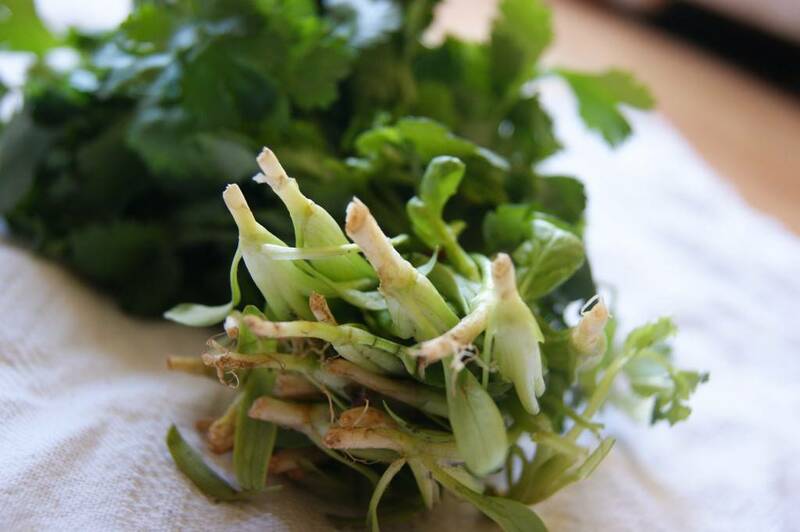 Cut off the roots and a bit of the thickest stems from your bunch of fresh locally-grown cilantro. Place in a bowl and cover with cold water. Swish with your hands to remove dirt. 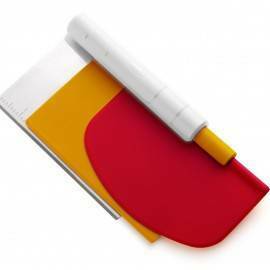 Pull off any wilted or yellow leaves or stems. Scoop off the cilantro onto a plate, drain out the water and dirt, rinse the bowl, put the cilantro back in, cover with more water and repeat the process, until the cilantro is clean. Place drained cilantro on several layers on paper towel and pat dry. Place in a zipper-lock bag, label, date, and pop in the freezer. To use: smash the bag against the counter to break up the cilantro, pull out and measure what you need while they are still frozen, let thaw in a bowl (roots will shrink when thawed) and proceed with the recipe, using both the thawed roots and any juices that have come out while thawing. 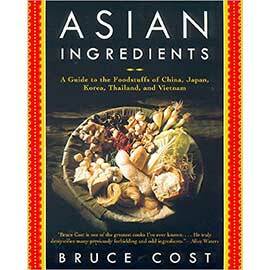 Thai curry paste, Thai sate marinade, Thai cilantro root & black pepper paste: here we come! Great blog posting! There are so many roots that have amazing flavor. I chuckled at the ziploc freezer bag photo. You continue to inspire me! I need to get down to Victoria for a class soon! Scott – I chuckled at my ziploc freezer bag photo, too! I think it was the very same bag that I took a photo of last year for my “How to freeze berries” post. Holy smokes, I’d NEVER have thought to use the roots of cilantro. I wonder how many foodies shuddered and didn’t know why when I threw them away in the past! Thanks for the great tip. (and letting me know I’m not the only one who reuses ziplocks) Have a good weekend. Cilantro root …wow, the things I learn from you. Thank you for posting these instructions. I love cilantro root for my marinade paste for Thai Barbecued Chicken. We can grow cilantro almost year round here in Northern California. Such a great herb- plenty to harvest, I let quite a bit of it go to seed for planting a new cilantro crop and to have seeds to dry for grinding for Thai and Indian cooking. So much better than the grocery store stuff that turns into slime within days. Hi Heidi, I must admit I haven’t looked at your website for awhile. Yesterday I looked at it and was reading your blogs from the past few months. I saw your story and picture about cilantro roots. I have never heard about cilantro roots before. Then I came home and took some cilantro out of the fridge to use and discovered it has the roots attached! So how timely that I had just read your story about that. I tasted one of the roots and it tasted like celery to me, rather than cilantro. Which I like as well. So I am going to freeze them like you suggest. 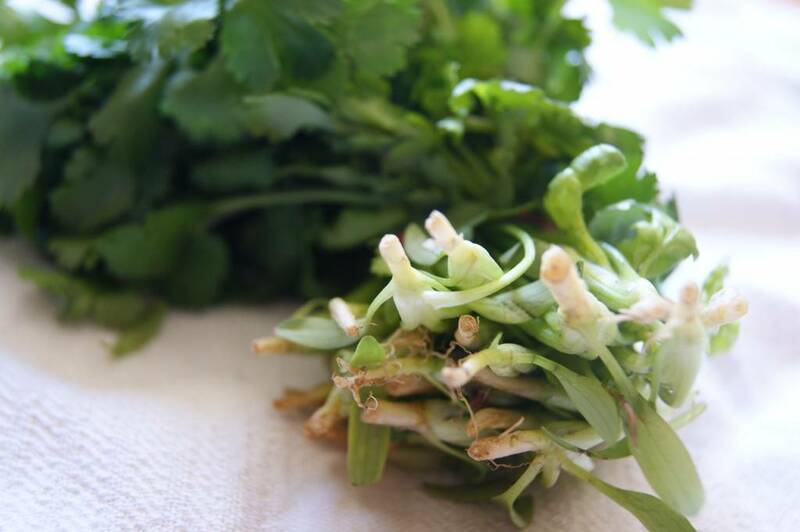 Question – why wouldn’t you just use the same way as the rest of the cilantro? When would you use the roots rather than the leaves (& stems)? Hi Bev – nice to hear from you! Your question is a good one. Even though they taste similar, cilantro roots and cilantro leaves should be used in different recipes, or at different points of the same recipe. Cilantro leaf is a fresh herb; it’s delicate texture is best when used raw or thrown into dishes at the last minute. Cilantro root is more like an aromatic (think garlid or ginger) – it needs to be minced or pureed and usually cooked to bring out its best,. Cilantro leaves are great in salsas and vietnamese salads and sprinkled on curries etc at the end of cooking. 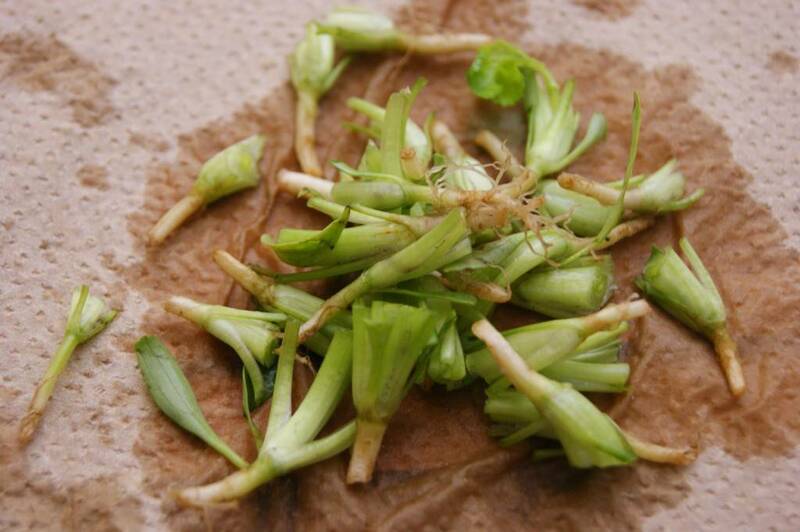 Cilantro roots are use in pastes, marinades etc (like Thai curry paste or satay marinade). All that said, you can definitely experiment with using cilantro root in place of leaves. Just make sure to mince the root very finely. you’re welcome! I’m glad you can use your abundance of cilantro roots. I’ll be posting more recipes soon! Hi Johnny, I wish I knew where to get fresh cilantro root on the east coast :( I can only suggest that you keep an eye on the stems of fresh cilantro bunches to see if any have roots on them. 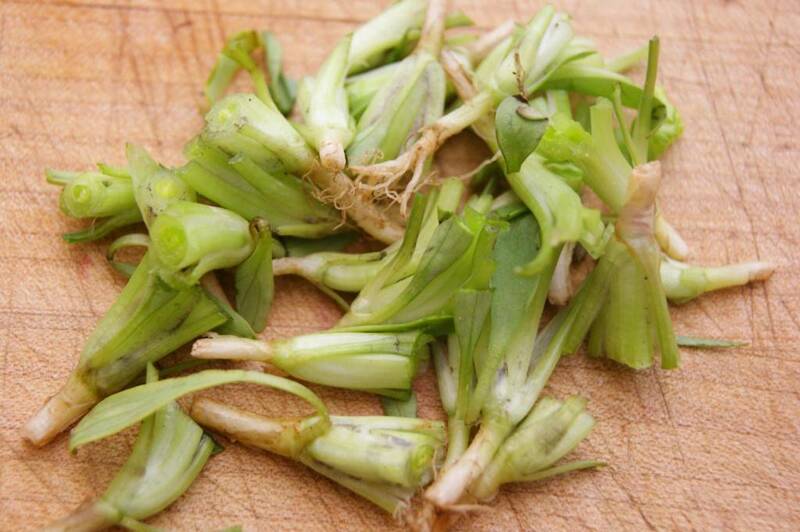 In a pinch, you can use the thicker stems if no roots are to be found, but you have to use twice as much. Hi Heidi, I came upon your blog when looking for instructions on planting cilantro that came with roots. most markets cut the roots off so when i lucked out and got the rare bunch that came with roots i wanted to plant them to grow more. 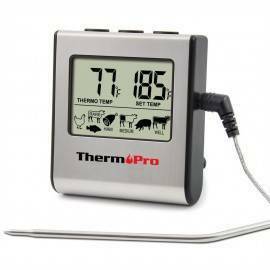 I’ll definitely try freezing some of the roots – sounds like a fabulous tip but WHERE can i find rooted cilantro in the future. this is only the second time i have seen it! Hi Randi – I’ve only found rooted cilantro in the summer months. I’ve found it at both Thrifty Foods and at The Root Cellar, and I’m sure it is available anywhere BC-grown cilantro is sold in the summer months. That’s why I buy so much of it and freeze it for the rest of the year. Omg!!! I live in South Korea, and my Supermarket only sells cilantro with roots attached. To think all this time I’ve been throwing them away ignorantly! I’m so excited that I’ll be able to use them in the future. I’m glad to be of help!